Did you even get it? In April, the entire TechRadar office downloaded Nintendo's first ever mobile game and played it consistently for a whole week. We used Miitomo to ask stupid questions, wear silly outfits and make the most irritating voices ever heard. Then we all stopped, many of us never to return. It seems we weren't the only ones - most Miitomo users have just lost interest, according to new data from SurveyMonkey Intelligence. Its info suggests only 2.5 million of the original 10 million downloaders are still actively playing Miitomo once a week. Data on Miitomo players has suggested the average play time for those who still use the app is only 2.3 times a week. That's behind 4.2 times a week for Clash Royale players and 3.3 times for those on Candy Crush Saga. It proves being the top of the download charts - Miitomo peaked at number one in both the Google Play Store and Apple App Store - doesn't necessarily add up to faithful players. It's worth noting this data comes from a sample group of smartphone users in the US and then extrapolates the data over the rest of the population. The actual playing figures may slightly differ from this average result. Nintendo clearly has plans to bring players back to Miitomo. The company has already announced it will be bringing Splatoon-inspired items into the game. 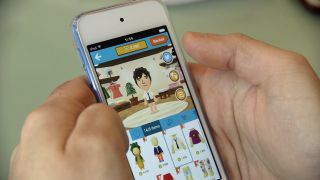 Miitomo's confusing premise has been a struggle for some to connect with the app and many expected a traditional Nintendo game transplanted onto mobile devices. Nintendo does plan to do that in the future and has already announced it will bring Fire Emblem and Animal Crossing games to your phone before the year is out.